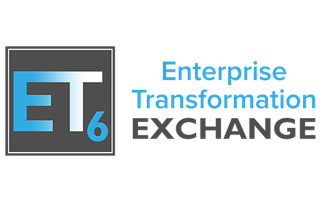 Appivo was pleased to sponsor the 2017 Enterprise Transformation Exchange (ET6) conference; the evolution of last year’s M6 conference. No longer solely focused on mobile, ET6 covers enterprise transformation in its entirety. Taking the previous incarnation into account, ET6 is the longest running hosted enterprise mobility and digital transformation conference focused exclusively on bringing an intimate end user audience together with industry experts and solution providers to discuss strategy, policy, solutions and security. ET6 is the perfect platform to help build an intelligent digital enterprise, kind of like Appivo. If we missed you this year, reach out any time. If you’re interested in attending next year, here is the attendee info.